We can make a difference to you. We offer a wide range of accountancy and advisory services. Accountancy Assist is not just an accountancy firm. We are an accountancy family, priding ourselves on respect, guidance and the unique ability of being able to nurture our clients to be the best they can be. Founded by Murat Kurt in London 2014, Accountancy Assist began with a firm and friendly focus in mind. Accountancy services with a smile? Absolutely. By adopting the latest in accountancy software, and taking the time to understand our individual client needs, we can take your business accounts to the next level. At Accountancy Assist, we appreciate that the very nature of what we do may not make you want to jump out of your hard-working seat and delve into the numerical depths of business finances. But that doesn’t mean you should settle for the same old service. We believe that respect has to be earned, not purchased. Money is one thing but so is working with a friendly accounting partner with bags of integrity, a willingness to be flexible and a desire to really want to help your business succeed. In a world where choice is so prevalent, why not make the most of it? They say time is money, but time is also what’s going to help your business to succeed. Do we understand the importance of it for you? Absolutely. That’s exactly where we step in. We exist because we want to help you reach your full financial potential. Your decision to outsource your accounting needs is one of great consideration, so guess what? We aim to make that consideration an easy task, not a chore. We take hard work, a high response rate and a range of services and put it together into one affordable option in order to help you maximize your return. We work for you, never against you. We provide accountancy services to help with businesses of any size and any industry. From classic accounting process to more modern technological systems, our aim is to improve the efficiency of core functions by adopting a productive and forward-thinking approach. Accountancy Assist Ltd is registered in England and Wales with Company Number: 08807808. Registered address is: Hamilton House, Mabledon Place, Bloomsbury, London, WC1H 9BB. Accountancy Assist Ltd is registered with the Information Commissioner`s Office (ICO) website: www.ico.org.uk with reference ZA129624 and Murat Kurt is licensed and regulated by Association of Accounting Technicians (AAT) website: www.aat.org.uk under licence number 1000782. We are also VAT registered firm with VAT No: GB 299 3283 50. Accountancy Assist Ltd is insured with PII (Professional Indemnity Insurance) and PLI (Public Liability Insurance). Any actions against the Insured must be brought in a court within the territories of Great Britain, Northern Ireland, Isle of Man or Channel Islands. Geographical Limits: Worldwide excluding USA and Canada their Dominions and Protectorates. 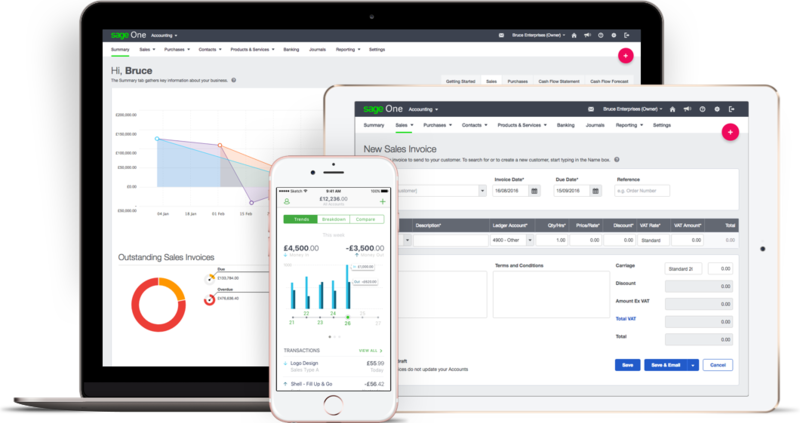 Take care of invoicing on the road, banking at the office, and cashflow from home. Easily work with PCs, Macs, iOS, and Android.